When you think of pioneers of the genre of FMV games a few names immediately come to mind: James Riley. Rick Dyer. Tom Zito. 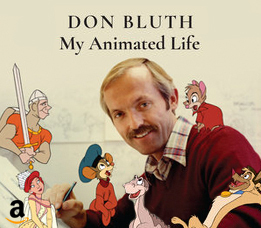 Don Bluth. Well, add another one to that list - Chris Bankston. As Senior Producer at Sega of America in the early to mid nineties, Chris produced several iconic FMV games. In fact, his resume reads like a list of top FMV games of all time. Tomcat Alley. Ground Zero Texas. Double Switch. Fahrenheit. The list goes on and on. Even before he worked on these games Chris was producing legendary classics like Double Dragon and Revenge of Shinobi. He started his career as video game producer in 1987. "I was working as a software design engineer and project manager for a security company in 1987," says Bankston. "I was introduced to Ken Balthaser Sr. He was the director of product development for Epyx and was looking for a game producer who could handle products made overseas. Since I had a strong interest in international work and also made games for myself on my Apple IIe computer. Ken picked up on that and I was on board at Epyx a few weeks later." "The particular style of FMV that I brought to Sega required both. Since the primary objective is the game, then my primary concern was always quality of gameplay. But we were shooting a full length film and by default you are the producer and there are several lines of producers. On each project, I had a line producer who handled the "front line" production responsibilities involved with the making of a film." "I was on the set of every production. Unfortunately, I was doing multiple productions simultaneously and managing a half dozen that we were testing (some never passed to make it into full production) plus I was managing Sega Studios LA. So I was not able to be on each set 100% of the time as would have been appropriate." "The one thing that stands out in my mind that made the experience unique would be standing with the film director to discuss a particular scene and pretending to have a game controller in my hand to visualize how the scene would ultimately look and play out in the game. The challenge was to get the director to see and understand and then we would shoot the scene." "Tomcat Alley was my absolute favorite. It was the vision that I had carried around long before joining Sega as the type of FMV game that I thought should be made. Plus the team from The Code Monkeys and Stargate Films were totally in tune with the vision and very dedicated. The quality of the game demonstrates this, in my humble opinion." With FMV games costing "substantially more than the other game genres" being made, there was a lot at stake with each production and there was anxiety at Sega about FMV games and whether they would catch on with gamers. "Sega was very concerned about gameplay and quality with all of their products through every step from green light to gold master. Sega had one of the best test departments that I have ever worked with and they were invaluable regarding this very issue. From a marketing standpoint, it was clear that FMV may or may not be accepted by gamers but it was cool enough that it was worth going after. But yes, there was that concern." "This is a question that I have come back to numerous times throughout the years. One reason that I have considered is that the use of a live actor makes it more difficult for the average player to assume the identity of the hero, as opposed to a fictional art character. The other reason is that 3D started coming into full play shortly after and does not have the constraints that FMV has because it can be, or seem to be, an open, free roaming world. From my experience at Sega, I know that everyone from executive management to the entire marketing department believed that FMV had the potential for a strong life span so I believe that the consumers/players were the ultimate reason that FMV did not catch on." "I do want to point out that FMV did bring film and video game makers closer together. It was the catalyst. It has been a subtle merging but it is definitely visible in more AAA titles that come to market. The convergence has not happened as fast or as far as I had anticipated a dozen years ago but it is there nonetheless." "Great people working very hard and in complete synergy. Tom Kalinske, Shinobu Toyoda, and Joe Miller all gave us the autonomy necessary to take risks and create fresh and dynamic products. It was one of the greatest times of my career, hands down."